The CPA Consultants’ Alliance (CPACA), a group of thought leaders aiming to further leadership within the CPA profession, met recently to discuss issues facing public accounting professionals. The group identified the key factors firms need to address to become future-ready and attract and retain NextGen talent and clients. “As we explored what firms need to focus on to be future ready, we boiled it down to five key areas: leadership, talent, technology, client experience and growth,” asserts Roman Kepczyk, director of firm technology strategy for Right Networks who was named president of the CPACA. “We believe there are specific, actionable steps that firm leaders can take to progress in each of these fundamental areas,” says Kepczyk. Over the coming year, CPACA will release a series of podcasts on each of these five focus areas to help firm leaders identify the actions they can take to secure their future. In addition, the group added a new member, Matt Solomon, CEO at The Center for Enlightened Business. Solomon’s organization develops programs designed to empower firm owners to sell, price and deliver highly profitable client services. 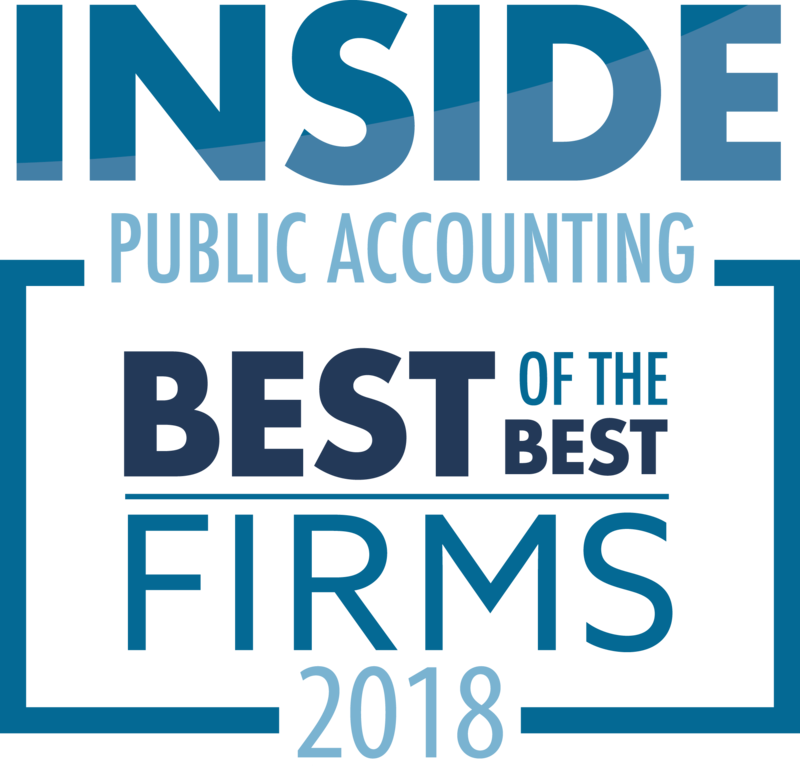 “His passion, unwavering commitment to helping clients, and collaborative spirit are a great fit for the group and will help the CPACA achieve our goal of supporting and improving the leadership and future of the accounting profession,” says Angie Grissom, president of Rainmaker Companies. 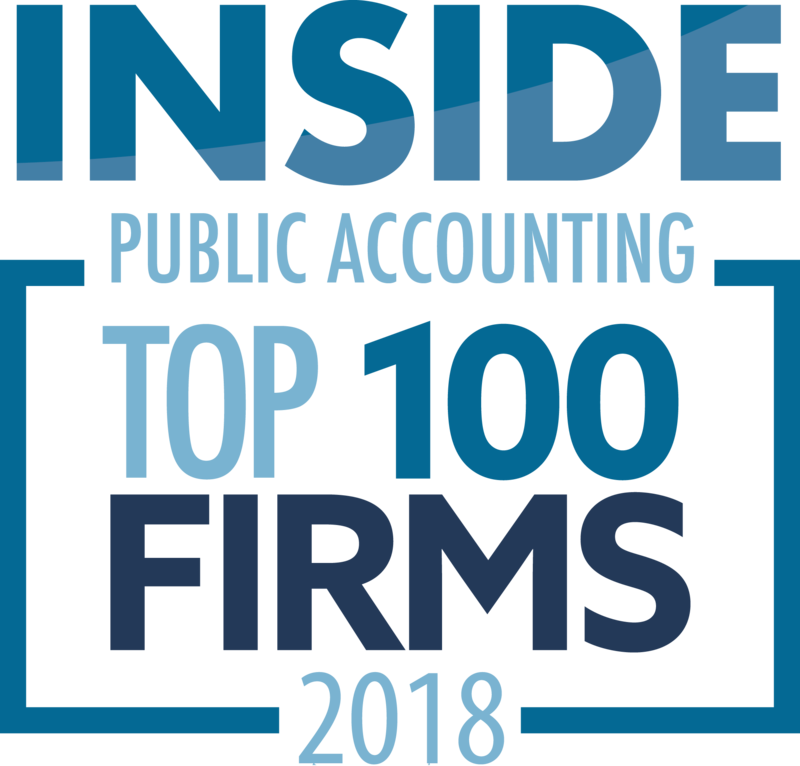 “I’m honored and humbled to be part of such a heart-centered and powerful alliance of thought leaders who are willing to put their egos and personal agendas aside to find better ways to serve our shared community of accountants,” says Solomon. ConvergenceCoaching has announced the 2017-18 Fall Transformational Leadership Program™ (TLP) graduating class. Jill Bosnjak, firm administrator, Echelbarger Himebaugh Tam & Co.
Jenny Hashley, senior tax manager, Echelbarger Himebaugh Tam & Co.
Katie Davis, partner, James Moore & Co.
Stacy Joyner, partner, James Moore & Co.
Eric Troyer, shareholder, Kerkering Barberio & Co. The consulting firm Upstream Academy is adding two new partners, Jeremy Clopton and Georgia Cummings. 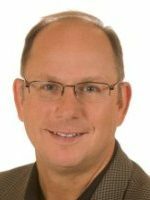 Clopton’s experience comes from running his own consulting company and his work with Springfield, Mo.-based BKD (FY18 net revenue of $594.6 million), where he led a firm-wide specialty practice. During his 12 years with BKD, he gained extensive experience in data analytics, fraud prevention and business intelligence, but his real passion was going beyond providing the services clients asked for – to help them determine what they needed for future success. 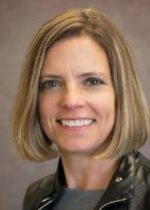 Clopton is a speaker at industry events and is a faculty member for the ACFE and as an instructor at the Management Development Institute at Missouri State University. 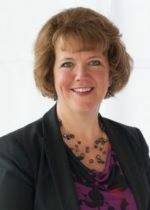 Cummings has been integral to the development of Upstream’s programs, products and reputation and you can see the influence of her dedication to exceptional client service and attention to detail in everything Upstream does. For 14 years she has acted like a partner, so we are pleased to officially confirm her inclusion in the Upstream partner group. The accounting profession is expected to undergo more change in the next 50 months than it has in the last 50 years – a prediction that is sparking anxiety among firm leaders, but also a recognition of vast opportunities, says IPA Publisher Michael Platt. “They’ve been very, very successful getting to this point, but going forward it’s going to be a little bit of a different ball game – different business model, different services and different ways to serve their clients,” Platt said in an interview with Jody Padar, CEO of the New Vision CPA Group. 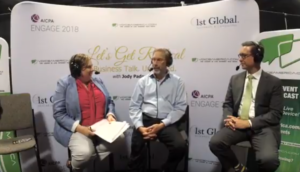 Platt appeared on “Let’s Get Radical,” hosted by Padar and David Knoch, president of 1st Global, which provides wealth management services to CPA firms. The interview was broadcast live on the Voice of America Business Network June 12 at the AICPA’s ENGAGE conference at the MGM Grand in Las Vegas. Platt, in an interview that hit upon major issues affecting the profession, provided a glimpse of some of the trends emerging from IPA’s annual survey of more than 500 accounting firms. ConvergenceCoaching LLC announced the 2017-18 Spring Transformational Leadership Program™ (TLP) graduating class. 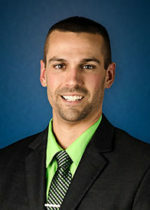 Zach Chalifour, partner with James Moore & Co. The ConvergenceCoaching®, LLC Transformational Leadership Program™ is a one-year accelerated “finishing school” for CPA firm high potentials. “With the rapid pace of succession and leadership transition, part of our mission is to provide truly transformative leadership development so future leaders are ready to take on new and meaningful leadership roles in their firms,” says Jennifer Wilson, co-founder and partner. “Each bright graduating class affirms our enthusiasm about the future of the profession. And we are grateful to have just kicked off our 2018-2019 Spring program with a new group of 26 talented NextGen leaders. 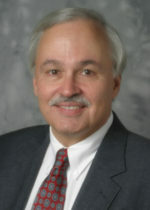 Whitman Business Advisors (WBA) announced the addition of Walter Brasch as their newest consultant. Brasch brings more than 30 years of executive experience in the accounting and business advisory industry to Whitman Business Advisors. 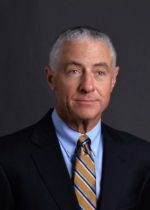 He possesses a successful track record in leadership roles at several top 100 CPA firms. Before joining Whitman Business Advisors Brasch served as a partner and chief business development officer at New York-based PKF O’Connor Davies. Prior to that role he served as regional MP at Parente Beard LLC where he oversaw substantial revenue and profitability growth cultivating trusted long-standing relationships with CEOs, board chairs and other key decision-makers throughout the New York-New Jersey metropolitan area. Brasch currently serves as a member of AICPA Council representing New Jersey CPA members and is the former President of the NJSCPAs. In addition to Practice Management consulting, strategic planning, growth initiatives and partner retreat facilitation, he will be helping WBA expand their newest service offering, the Practice Growth Multiplier(TM). ConvergenceCoaching, a leadership and management consulting firm that works exclusively with CPA firms, launched the 2018 ConvergenceCoaching Anytime, Anywhere Work survey (ATAWW). In its fourth edition, the ATAWW survey examines the adoption of flexible work practices in CPA firms across the country. Participation in the ATAWW survey allows firm leaders to benchmark their current program offering against other CPA firms around the country. Results of the survey are shared with participating firms, along with best practices and strategies to drive successful adoption of flexible work policies. There are several things that we find to be particularly curious about small and mid-sized CPA firms? Why so few firms share with staff (or, at a minimum, potential partner candidates), who see how hard partners work (i.e. “the pain”), the average, mean and high / low range of partner compensation (i.e. “the gain”). Why very few firms share with the staff what it takes to become a non-equity partner and eventually an equity partner. Why scarcely few firms make the necessary investment to develop the next generation of partners. When it comes to the silence small and mid-sized CPA firms have around partners compensation, it appears that the firms believe that, if they share this information, the staff, in turn, will negotiate for more money for themselves. We guess that is human nature but, in our view, it is not sufficient enough reason to closely guard against compensation disclosure and to keep staff in the dark. Personally, we like staff who want to earn more money. As we see it, the more money they earn, the more they produce and that production results in more profits for the partners. Further, we believe that CPA firm partner compensation, while not comparative to the huge amounts earned in the tech or investment banking industries, is not anything to sneeze at or be embarrassed about. Partners earn handsome sums of money and live very comfortable lives with their families. They should be very proud of it as they work hard enough for it. We have found that disclosing partner compensation statistics to staff is a great carrot for those who aspire to be future partners. While firms have recognized long ago that marketing, selling and identifying new clients are important activities to sustain growth and therefore spend lots of time and money in these areas, we find that many firms do not make similar investments in attracting and retaining talent – particularly when it comes to “growing” new partners. In our opinion, it is very healthy for firms to develop a roadmap as to what it takes to get promoted to non-equity partner and then from non-equity partner to equity partner. We also believe that firms will reap considerable benefits if they developed a partner candidate development academy. Presented below are examples of what is being provided in these areas by some very successful firms. Not many staff want to become partners at small and mid-sized CPA firms. It is their perception that work and life are not balanced to their liking. Having said that, usually there are a good number of staff at small and mid-sized CPA firms who do, in fact, have an interest in becoming partners. But, again, large numbers of firms are not very helpful in “educating” staff as to what it takes to get the promotion. On the other hand, there are successful firms who do provide a promotion roadmap for staff. In it they clearly indicate that the path to move to non-equity partner typically is considered after functioning two, perhaps, three years as a senior manager, principal or director. It is made very clear that the key question addressed when a firm is considering a professional for promotion to non-equity partner is: Does the non-equity partner candidate contribute to perpetuating and growing the business of the firm, maintaining and enhancing technical excellence and driving client and staff retention? When it comes time to consider someone for promotion to equity partner, the more successful firms make it clear that they have financial and economic guidelines (including firm per partner standards for revenue, profits and billable hours) that recognize that practices generate different results and, therefore, depending on the candidate’s area of expertise, might require different standards. As a result, firms customize financial guidelines for a candidate’s applicable role and what the candidate needs to do to meet them. The promotion roadmap also indicates that moving from non-equity partner to equity partner is a consideration after functioning two, perhaps, three years as a non-equity partner. The key question that is addressed when a firm is considering a professional for promotion to equity partner is, has the equity partner candidate significantly contributed to perpetuating and growing the firm’s business, maintaining and enhancing technical excellence, and driving client and staff retention? Further, has this contribution been demonstrated by a track record of steady and increasingly improved performance in the eight areas referred to above? Finally, to develop the next generation of partners, we encourage firms to launch a partner candidate development academy. It provides an opportunity for partner candidates and senior management to get to know each other better and creates glue for the organization. Perhaps most important, it provides tools to the partner candidates that enable them to maximize their strengths and minimize their weaknesses. There is a wide chasm between talking about value and making your firm a value-based-firm (VBF). The first step in transforming your firm from just another accounting firm to a VBF is to develop the strategic framework that will consistently deliver value to your clients. There have been tons of articles written about strategy, its importance and multiple “how-to” models. In many articles, the discussion focuses on creating that “killer” strategy that will propel your firm to stardom and unlimited profits. Strategy is presented as the driver of top performers and although important, strategy is a STEP to the true driver of firm performance – value. The bottom line is that you win on value – not on strategy. Let’s begin by understanding the strategy model that firms should use to develop their strategic initiatives for the next few years. Growth – what is your top line goal and the key strategies to achieve the goal? Organization – what changes are necessary in your organization (processes, systems, etc.) to support the successful achievement of your growth goal? People – what talent do you have and/or need to achieve the growth and organizational goals? Profit – what is your profit goal given the above and what are the key performance metrics that need to be achieved? Leadership – what structure of leadership and management team is necessary to drive the successful achievement of all the above initiatives? Another way to look at it is the model presented above creates the framework to deliver on your firm’s value model (VM) – what you have chosen to set your firm apart from your competitors and to win new clients on value and not price. Building your strategies within this model connects and aligns all the important pieces of the firm and ensures that all aspects of the firm are working in unison toward the common vision and strategy – fully supporting the VM that is critical to sustainable success. How does this strategic planning model relate to value? Whatever your decision is relating to your firm’s VM, to differentiate your firm from all others, it must be grounded in and supported by the strategic model that drives the organization and its people. Any VM not linked to and supported by the firm’s strategy and organization is just another slogan that quickly ends up in the graveyard of useless slogans that so many firms have created. Why? In simple terms, the VM has to be the living, breathing culture of the firm – engrained in every employee, supported by every system and process, consistently and visibly delivered in every interaction with clients, prospects and anyone else who matters to the success of the firm. It is an attitude, the mojo of the firm. Your VM has to be based on what your clients and prospects value and not on what you value, not on what you do and clearly not on promising quality and service. In order to make your VM a reality and something that not only resonates with your clients and prospects but that also is part of your firm’s DNA, the strategic model outlined above is the planning framework to create that reality. Let’s think about why. Many strategic planning models are based on some form of strengths, weaknesses, opportunities and threats. While important, it too often results in the focus of planning on opportunities and threats without any real linkage back to how the firm actually operates. All planning needs to look at some variation of SWOT in order to create a strong baseline regarding the current “as is” of the firm. However, planning based on just opportunities and risks without a clear and strong linkage to how the firm actually operates will fail to achieve the desired outcome – every time. Most strategic plans include a vision and mission statement component. Although necessary, the third and most important component is missing – the VM. Vision is about who you are as a firm. Mission is about what you do as a firm. Value is about what you deliver as a firm. SCOTA – start with an objective understanding of the “as is” of the firm – what are your strengths, challenges, real opportunities and finally “targeted actions” or what initiatives will be necessary to capitalize on the opportunities. Vision statement – develop a clear and convincing value statement about who your firm is, what it stands for and what you are striving to become. Value model – what is the value that you will deliver to your clients and prospects – the value that they want and that clearly differentiates your firm from the pack. Strategic planning model – finally, prepare your 18-month to two-year plan using the model presented above. For each strategy within each bucket, develop the initiatives to be completed to successfully implement each strategy. For each strategy and initiative, define the deliverable and the metric of success. Completion of each of the five steps, each with the VM at its core, will successfully transform your firm to a successful VBF that can dramatically improve its organic growth and profitability. Now the most challenging task lies ahead – implementation, keeping everyone’s focus on the implementation of the plan and transformation into a VBF. One of the ways marketing professionals are elevating themselves within their firms is by shedding light on the important and often overlooked growth strategy of client service. While most firm marketing professionals are not client facing, marketers do understand the concept of value, service, meeting needs, communication and many other critical client service skills. They also can begin to educate their leadership teams on the impact clients have on top-line growth. CPA firms often rely on revenue numbers, realization and chargeable hours to determine how business is going. But by giving your clients a voice, you’ll learn what you can be doing better, how to sustain high performance and how you can more effectively grow your firm’s top line. A study conducted by InfoQuest to quantify the impact of client loyalty on revenue found that a “totally satisfied” customer contributes 2.6 times more revenue than a “somewhat satisfied” customer, and 14 times more revenue than a “somewhat dissatisfied” customer. If we assume that customers who rate themselves as “totally satisfied” are loyal, it’s clear that loyalty plays a significant role in how much revenue a client generates for your business. Not only that, improving the lifetime value of your client base by increasing client retention levels significantly impacts your firm’s ability to grow its top-line because you aren’t constantly replacing revenue from clients who are leaving the firm. Totally satisfied clients will also refer business to you and serve as a reference (if you ask) …making it easier to attract new relationships and making your other marketing efforts more successful. Beyond the revenue impact, though, is the fact that working with loyal clients who recognize the value of the relationship with your firm, seek your counsel, are fun to serve and take your advice create for a very fulfilling practice. They create interesting professional opportunities and an enjoyable atmosphere. Who wouldn’t want to practice public accounting in an environment like that? How Do You Know What Clients Value? Ask! Coordinated efforts to improve client service can yield some of the greatest returns on investment of any growth activity. To be most effective, any effort related to improving client service should germinate from feedback from your best clients. Often, when firms measure satisfaction, they focus on engagement satisfaction. How satisfied were they with the outcome? How did they enjoy the experience of working with your team? What could you do differently? How would they rate the deliverables? While important, these surveys don’t adequately measure how client feel about the relationship—which is what drives loyalty. What attributes of service do they associate with your firm? What attributes of service are most important to them in hiring a CPA? How satisfied are they with your firm’s delivery of the attributes that are most important? Understanding your clients’ perspective enables you to define the behaviors of client service that will enhance loyalty. You can then train everyone in the firm on the behaviors for consistent delivery. Clients will begin to see and feel the difference between your firm and others in the market. If you are not yet focused on client experience in your firm, use resources, like AAM, to devise and implement a role for yourself in this area. At the very least, become a project champion for understanding what your clients value in their relationship with your firm. Arming your firm with this information will help you and other firm leaders make better decisions about how to achieve your firm’s goals. Steffen, founding shareholder and president of The Whetstone Group has more than 20 years of CPA firm marketing experience. 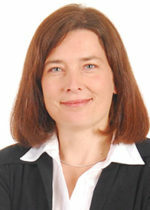 Before joining Whetstone in 2000, Steffen was an in-house marketing director in the national marketing office of RSM US.